Brief Synopsis: "A talented young musician on the brink of super stardom struggles with the pressure of her new-found success." Sober Film Critic James Brown 80 - Marked by raw and tender emotion, Beyond the Lights is a touching tale of two lovers who are dancing monkeys caged by their parents and professions alike. 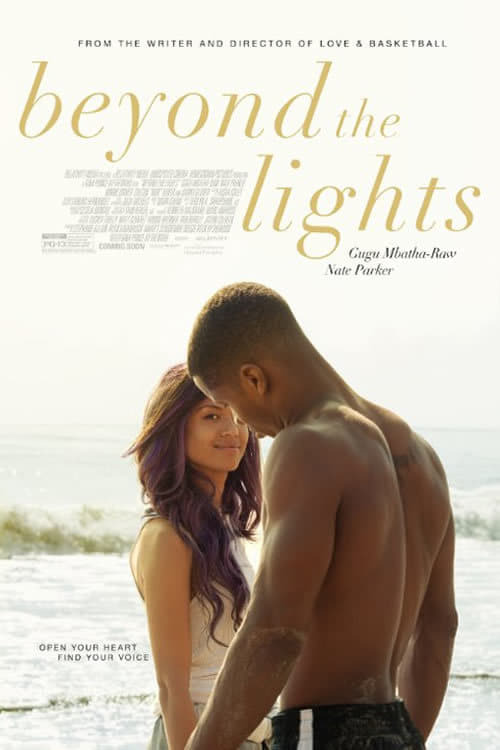 Despite offering a fairly predictable narrative, Gina Prince-Bythewood delivers a highly enjoyable film in Beyond the Lights. Le Anne of Tinsel And Tine 80 - The film�s warmth is due in no small part to the luminous Gugu Mbatha-Raw who brings the adult Noni to life with a combination of fragility and fire in one vibrant, vulnerable package. She�s has a gift for conveying the full spectrum of emotions without ever saying a word. You always know what she�s thinking or feeling every moment she�s onscreen. You can�t help but feel for and with her in every scene.